A swing tag can highlight a sale item within a store or differentiate your product on the shelf. 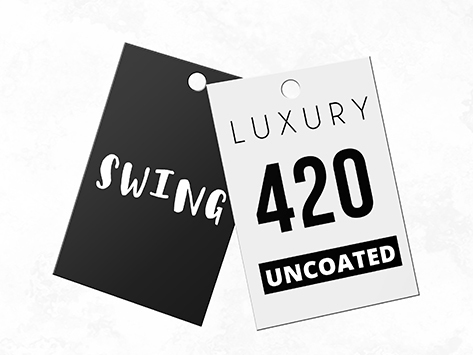 Swing tags are not limited to just clothing, but also Jewellery, bags, cosmetics, ornaments, liquor and optical products can also utilise swing tags. Boost your customer’s perception of your product with care instructions or further information on your company being printed on a swing tag.